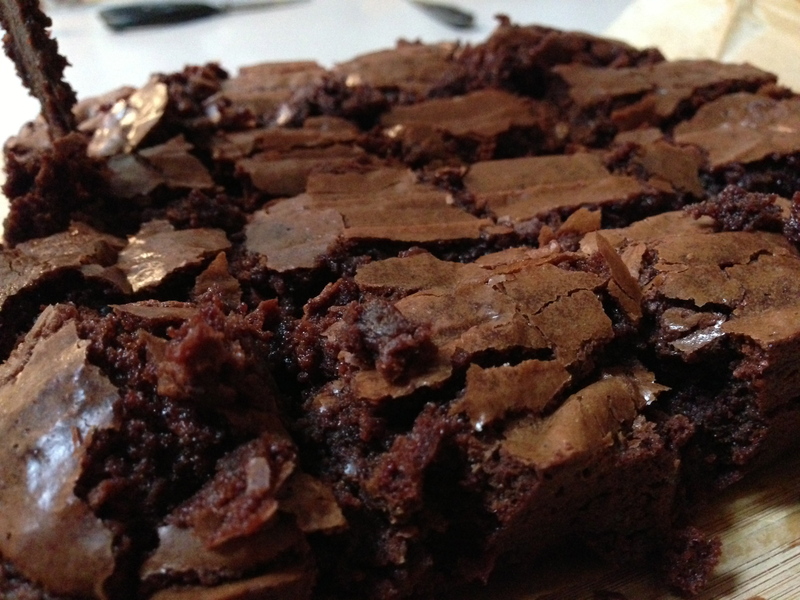 This is brownie recipe number two from the app. I remember the cream cheese brownies being great, so I had high expectations. I already had the ingredients on hand (for once), so this was an easy choice. 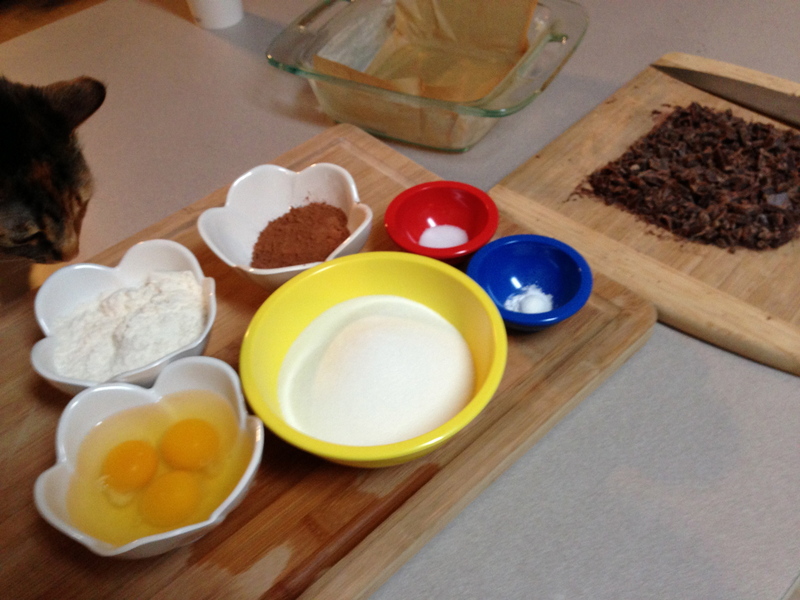 Step 1: Gather ingredients: Flour, cocoa powder, salt, baking powder, sugar, eggs, chopped chocolate, butter (not pictured), your cat (supervisor). Willow sniffed the flour, then sneezed. A dust cloud formed. Shut up, nobody ate cat snot. 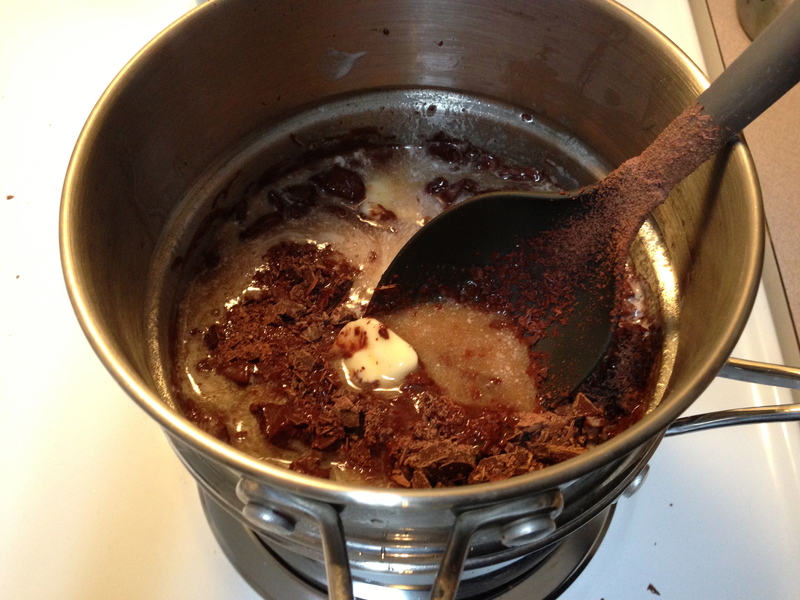 Step 2: Melt butter and chocolate in a double boiler or bowl placed over simmering water. 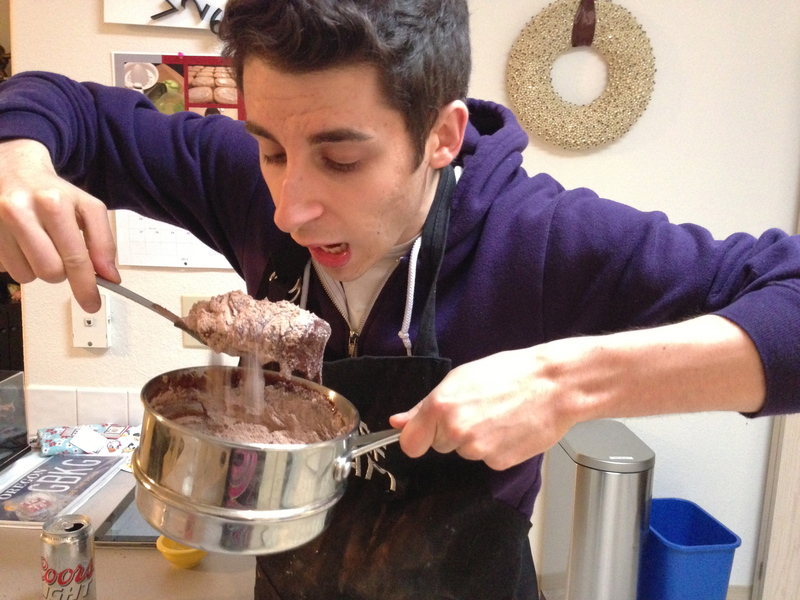 Step 3: Add sugar and eggs to melted chocolate. 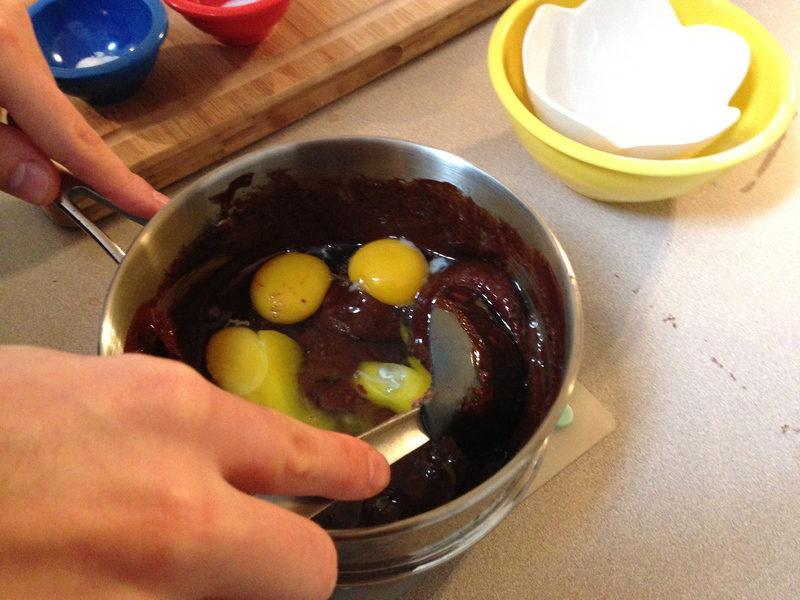 Why are there so many eggs in brownie recipes? 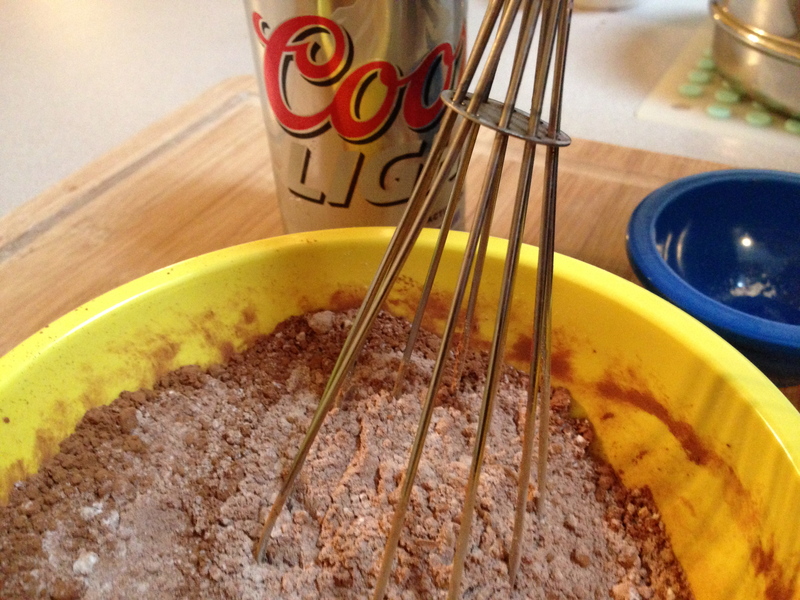 Step 4: Whisk together remaining dry ingredients. Did I mention my Vegas buddy was over? It’s been almost 6 months since we last went, so we broke out the Coors Light to feel like we were there. 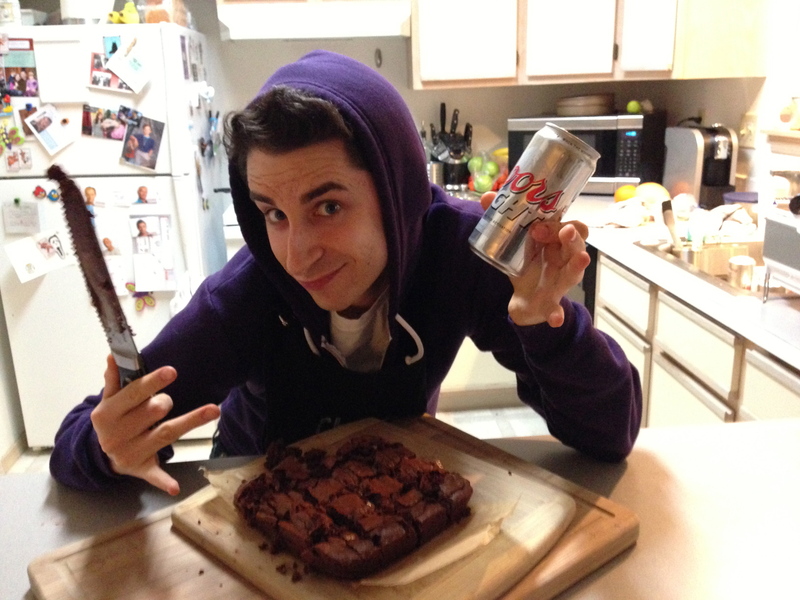 Unfortunately, there was no beer in the brownie recipe. 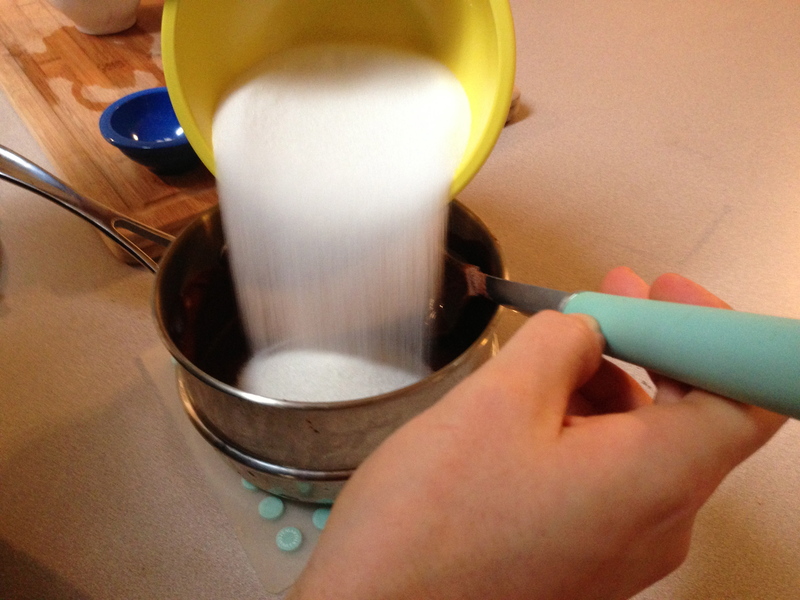 Step 5: Add dry ingredients. Taste test? Ew, no. 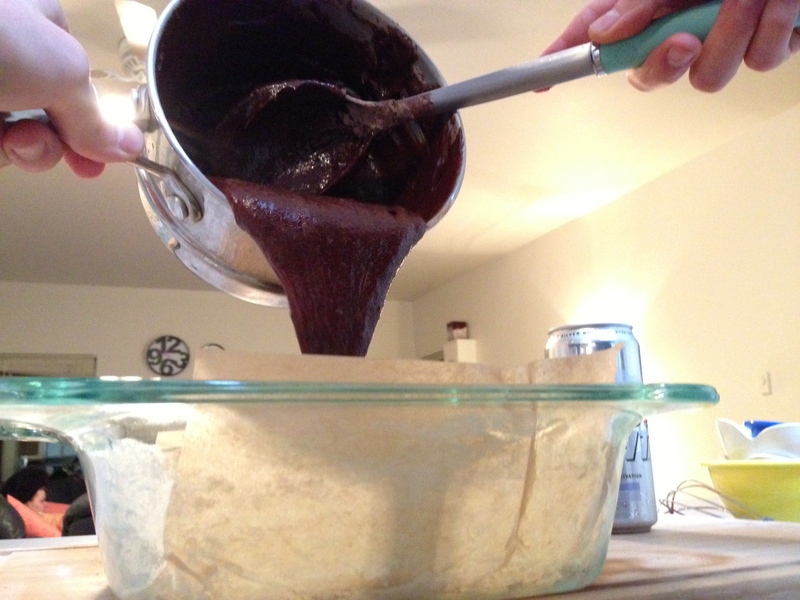 Step 6: Pour into buttered pan that you lined with parchment paper. Step 7: Bake for about 25 minutes. It’s safe to use a knife, right? Operating knives on beer number 1 or 2 is still acceptable. Vegas trips should be separated by no more than 6 months. These were very good, and not too sweet. 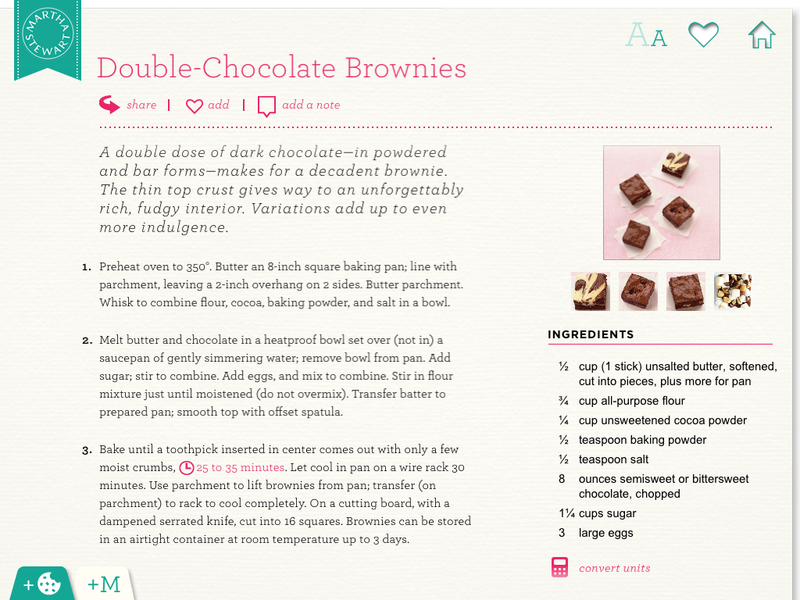 This is something I love and depend about Martha’s recipes. Definitely make these, and drink along the way. Because egg yolks are the most delicious things in the world. Additionally, I’m disappointed in your Coors Light support. SHAME. These were soooo good! Perfect texture and flavor! 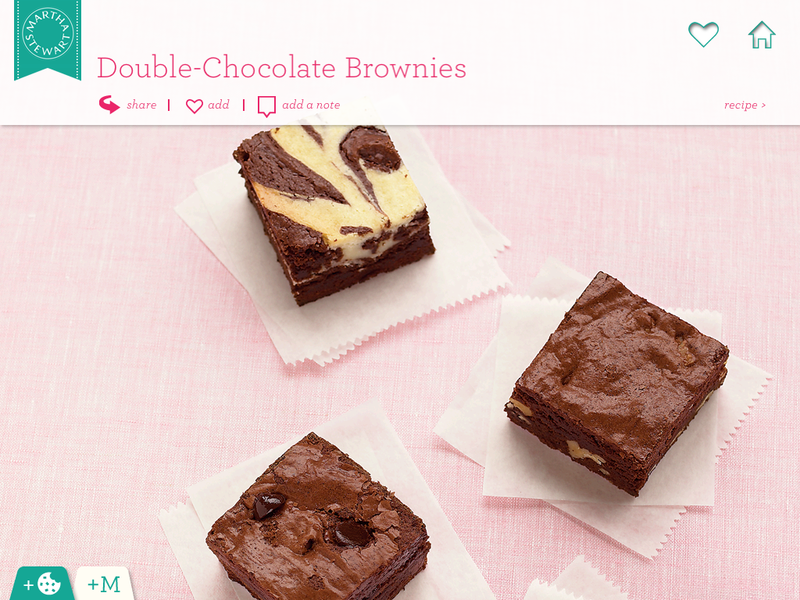 These brownies look great! Love that they’re not too sweet. Gotta try them soon.